The central government’s department of pharmaceuticals is scouting for 100 acres of land in West Bengal to set up a full-fledged NIPER, India’s premier public pharmaceutical research university, a top ministry official said on Saturday. There are seven National Institutes of Pharmaceutical Education and Research (NIPERs) across India. These run with co-operation from mentor institutes located at the respective places. 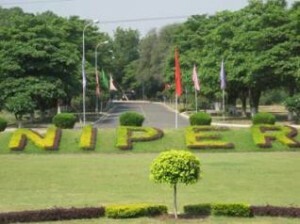 NIPER-Kolkata is housed at CSIR-Indian Institute of Chemical Biology in south Kolkata’s Jadavpur, which is also its mentor institute. According to V.K. Subburaj, secretary in department of pharmaceuticals of the chemicals and fertilisers ministry, the state government has provided 35 acres of land but the required area is 100 acres. “We are looking for a new piece of land. State government has given us 35 acres but we need 100 acres. As soon as we get the land, we will start construction so that NIPER-Kolkata can become a full-fledged institute,” Subburaj, who is also the chairman of the steering committee of NIPER, told IANS on Friday. He was speaking on the sidelines of NIPER-Kolkata’s fourth convocation. He hoped the land issue would be resolved soon. He said the only NIPER that functions as a full-fledged unit today is NIPER-Mohali. Other NIPERs are located in Hajipur (Bihar), Hyderabad (Andhra Pradesh, Telangana), Raebareli (Uttar Pradesh), Ahmedabad (Gujarat) and Guwahati (Assam).